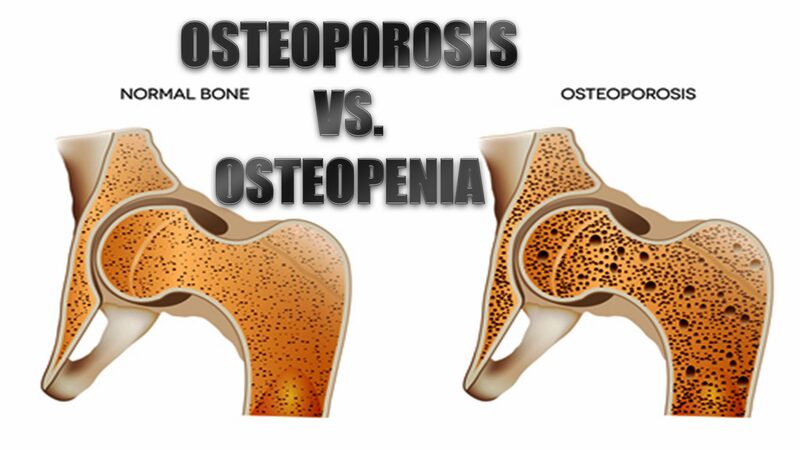 Osteoporosis vs. Osteopenia: What's The Difference? | El Paso, TX. 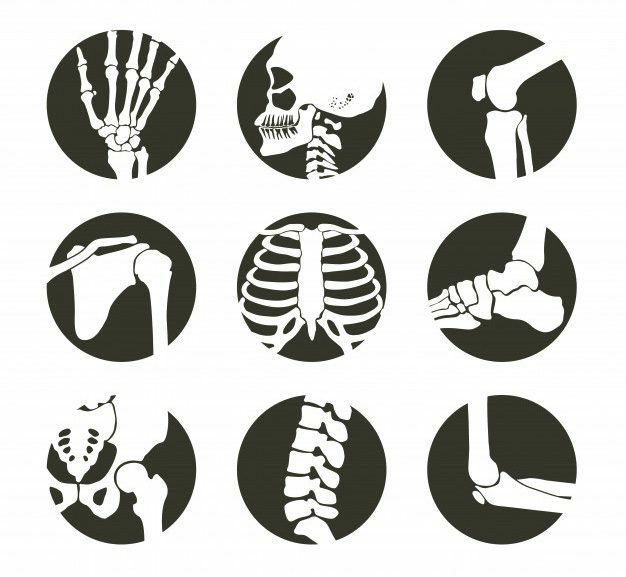 Osteoporosis is a significant health problem in the United States and worldwide. An estimated 10 million individuals have osteoporosis in the U.S. alone and an additional 18 million individuals are at risk of developing the disease, according to the American Academy of Orthopaedic Surgeons (AAOS). Females make up 80 percent of individuals who suffer from osteoporosis, but it also occurs in males although it is often underdiagnosed and thus underreported. What is equally disturbing is that another 34 million individuals in the U.S. are at risk of developing osteopenia, a common precursor to osteoporosis. Many experts blame the typical American diet and lifestyle, although genetics can also contribute to a person’s likelihood of developing either of the diseases. The prevalence of both osteoporosis and osteopenia are serious health issues so it is important to understand them. Osteopenia is often a warning sign of impending osteoporosis. Nearly half of all Americans who are more than 50 years old have the disease. 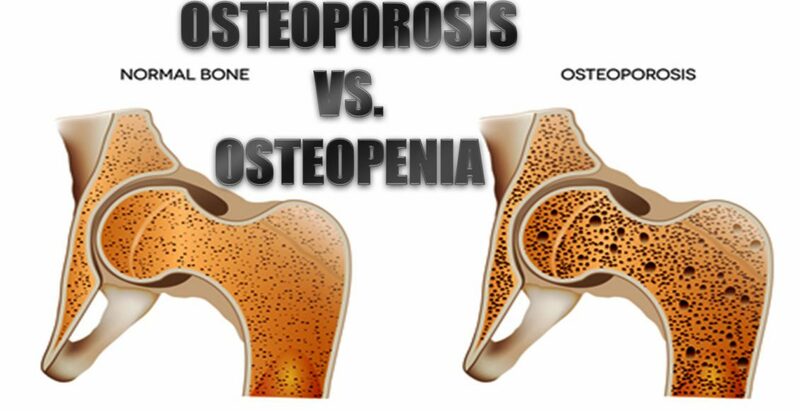 Osteopenia is a bone disease, marked by a decrease in bone mineral density – or bone loss. While it is not as devastating as osteoporosis, it is a strong indicator that the patient will eventually develop the disease. Nutrition and exercise are common treatments for osteopenia. Occasionally doctors will prescribe medication, but that is usually not the preferred treatment. Exercise, specifically weight bearing exercise, is a very effective treatment and preventative measure against these diseases. Incorporating calcium and vitamin D are also common treatments. These can be in the form of supplements, but patients are also encouraged to eat calcium rich foods such as yogurt, leafy greens like spinach, and sardines. Osteoporosis is a serious condition that causes bones to become extremely brittle and weak. The word “Osteoporosis” literally means “porous bone” which is indicative of the primary characteristic of the disease. When the bone is viewed under a microscope, it has tiny holes in its surface. While healthy bone has a honeycomb appearance under a microscope, bone with osteoporosis has much larger spaces and holes. The mass and density of osteoporotic bone is severely compromised. This can result in frequent broken bones as well as chronic pain and a patient can even lose several inches in height. Patients with osteoporosis can also experience limited mobility due to the disease or broken bones that may occur as a result. This can lead to other health problems including depression and obesity. These conditions can exacerbate the disease itself and increase the patient’s pain. Often patients with osteoporosis, particularly at advanced stages, require long term care in a facility such as a nursing home. The real danger is not how devastating it is to bones, it is the way it can go undetected for so long. Often it is not discovered until a bone is actually broken or the patient’s upper back begins curving forward. Sometimes the patient may become shorter. At that stage it is usually very advanced. With the right treatment, though, it can be slowed or stopped. Sometimes bone density can be improved and the disorder can be reversed at least to some degree. If you suspect that you may have osteoporosis or osteopenia, or may be at risk for developing it, the first thing you need to do is talk to your doctor to confirm that you do have it. From there you can decide on a course of action which is usually exercise, diet, lifestyle changes, and chiropractic treatments. The sooner you take steps to protect and improve your health, the less likely you are to develop long term conditions.